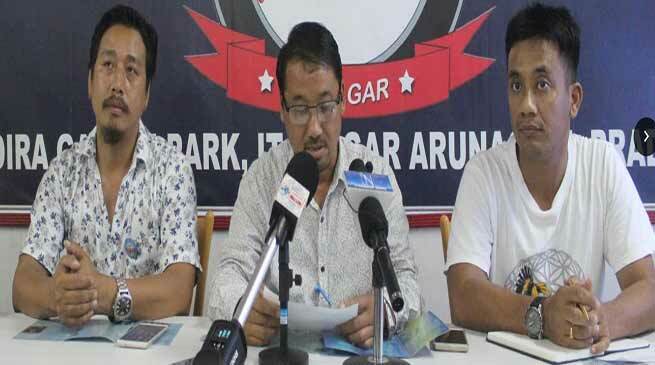 The Arunachal Pradesh Tour Operator Association (APTOA) is going to organise its 12th APTOA travel Congress 2018 in collaboration with Tourism department of Arunachal Pradesh With the theme of “Reckoning Arunachal Beckoning Arunachal” at Dorjee Khandu state Convention Center, Itanagar on 25 may next. APTOA president John Panye inform that APTOA is a registered society and also the harbinger of Tourism industry in State, as well as the main force for the promotion and growth of tourism in Arunachal Pradesh. The APTOA has been involving in various philanthropic activities, like workshop and other programme for the growth and developments of the State tourism from time to time. where we highlighted about the State tourism, he added. He also claimed that due to the activities of the APTOA and its members the State tourism has come in to light in the world wide. The APTOA wants to help the State tourism through travel Congress, where the important topics will de discus for the growths of state tourism. Inviting the all national level tourism industry key players and three major topics has been put far brain storming plenary discussion by subject specialist, experts, professionals and policy makers as well as stakeholders in the sectors, he added. After implementation of single window clearance system on the protection area permit and Inner Line Permit (ILP) of State the tourist can get easily the permit And this system is relaxing the binding of entry in state to the people of other State. and this was implement after suggestion of ATOA to government, he added. He further appeal and invite peoples from all sector to come and participate the Congress and explore the potential, resources of the State. Especially youths of the State should come forward on and join with us for the growths of State tourism sectors.